I was invited this week to the christening of the newest vessel of the Harbor Breeze Cruiser, whale watching fleet! 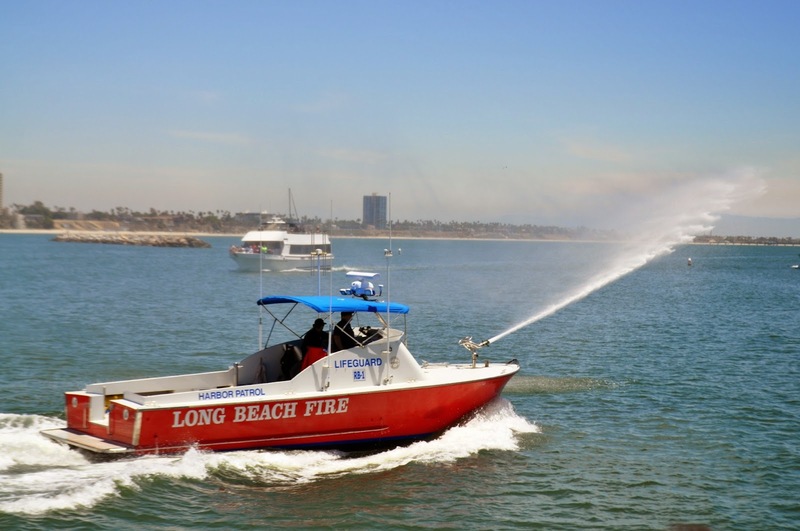 If you have never been to a boat christening, it is just like you might have seen on TV. 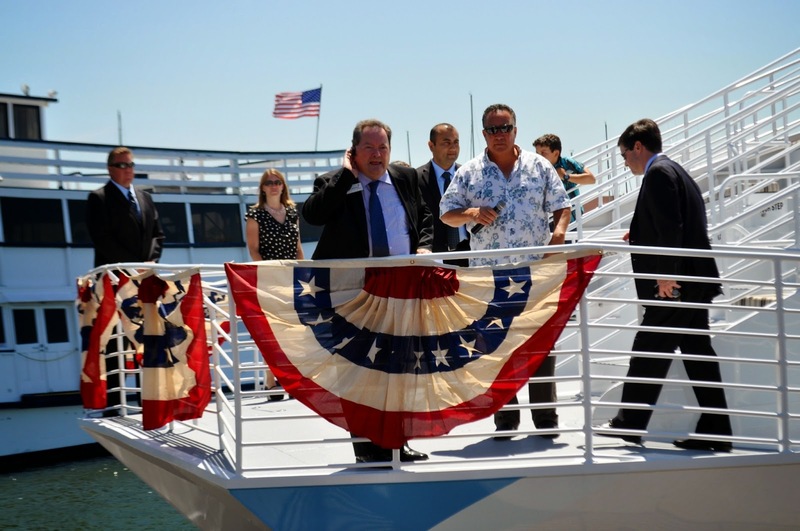 A small party of the Captain, Owner, and in this case, the Mayor of Long Beach himself and the President of the Aquarium of the Pacific! A bottle of champagne was broken over the name of the vessel to officially wish it luck on its future and give it its name, the Triumphant. 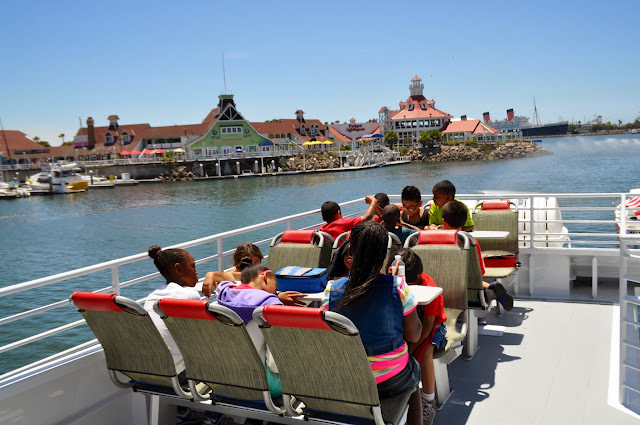 ls Club of Long Beach were treated to a day on this magnificent boat. 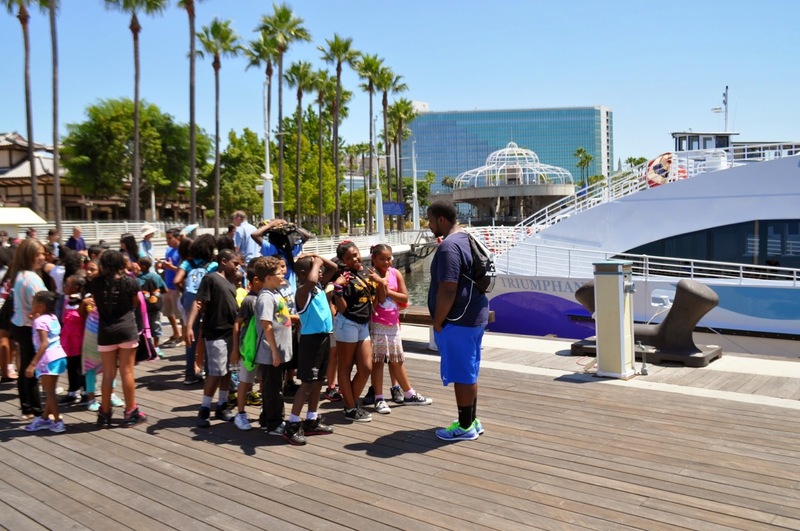 Many of the children have not had the opportunity to see a whale or even be on a boat! The energy level of the kids left smiles on all of our faces as wonder and amazement were abundant as cheers and laughter filled the air. The Triumphant has many wonderful features that makes it stand out amongst other whale watching boats. The first thing you notice when you board is how spacious it is! 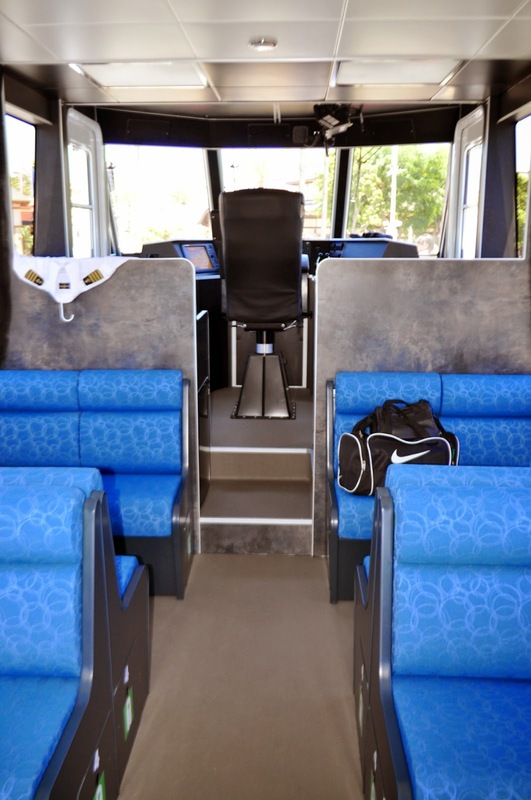 There is plenty of room to move around and there are comfortable seating everywhere! 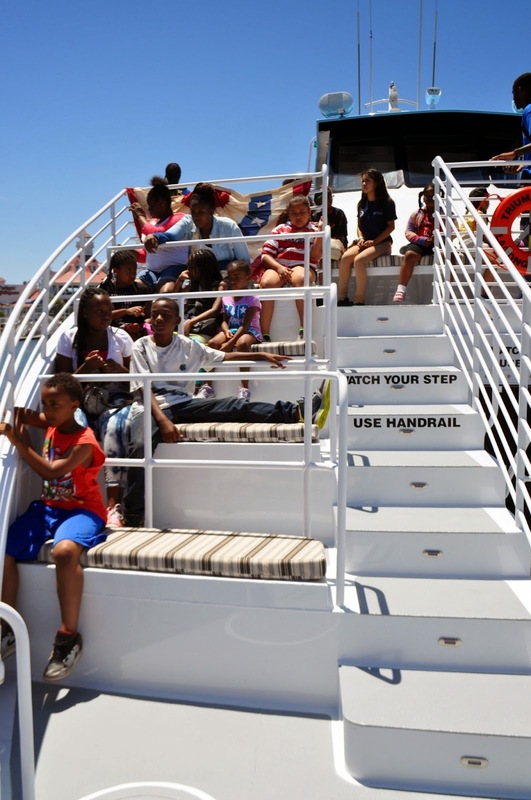 The bow(front of the boat) was filled with tiered seating like a stadium so that there were no bad seats! 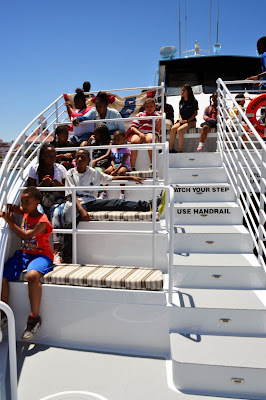 Benches lined the sides of the boat so that the viewers had comfortable front row seats! Inside the boat were comfortable tables with seating to enjoy the galley(kitchen). The Triumphant was escorted out of the harbor by a Long Beach Fireboat that had its water hose arcing across our bow. The ride outside the break wall(piles of rocks the line the harbor) was smooth as the catamaran glided through the waves and past the lighthouse. It was only a swift 20 minute ride before we spotted our first whale was spotted. It was the creme de la creme! 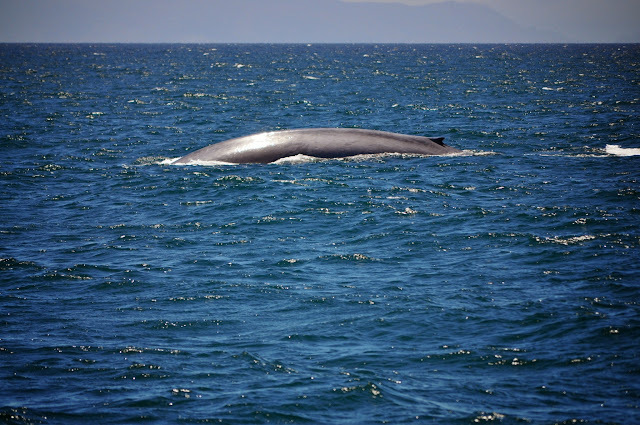 A Blue Whale! The largest animal that has ever lived, bigger than all of the dinosaurs was a hundred feet away! We were able to watch it for about 5 minutes before it showed its fluke(tail) and dove down to catch its krill. 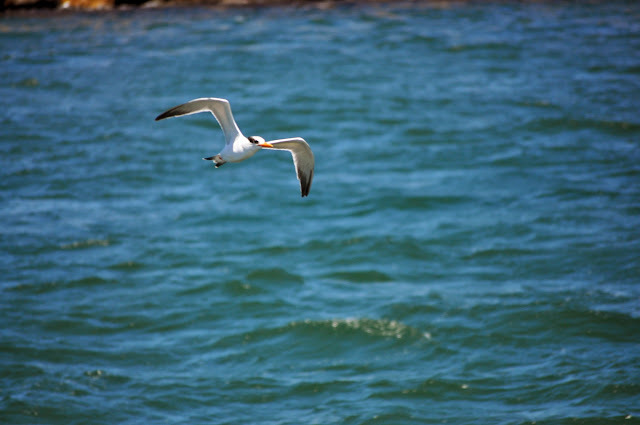 We saw it again about 10 minutes later and again viewed it until it dove to the depths. We moved to another location a short distance away and discovered another blue whale rise to the surface. 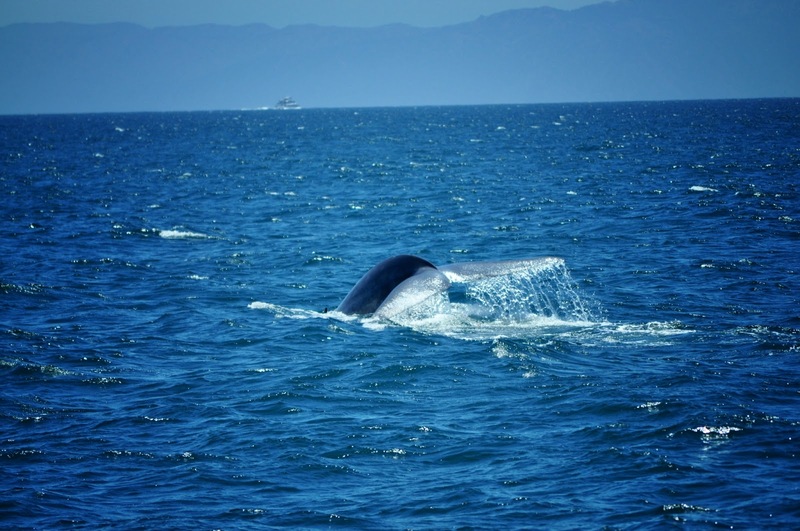 This whale was larger than the first and we were all in awe! The children and adults alike could barely contain our excitement! 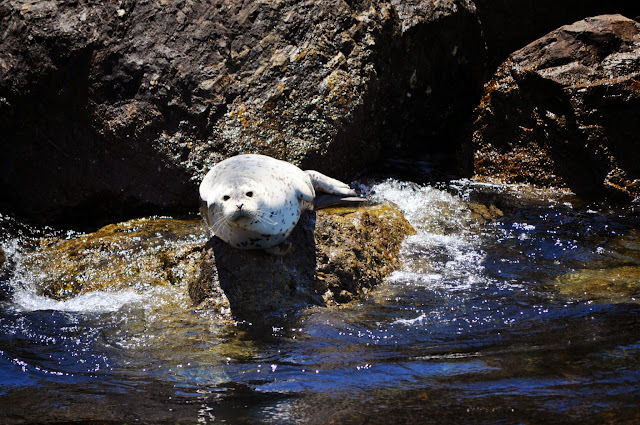 These majestic animals showed us what beauty and power lay beneath the waves. One last move of the Triumphant brought us to a mom and baby blue whale! We stayed briefly so as we did not want to disturb them. We headed back to harbor and were treated to a group of Harbor Seals sunning themselves on the rocks. Their colors varied from gray with dark spots to almost black with spots. We drove into a flock of migratory birds that were nesting on the rocks nearby. 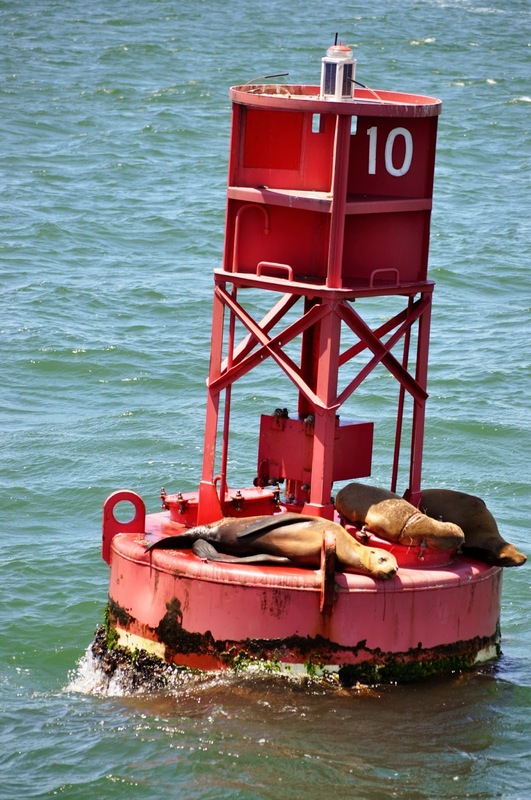 The last thing that we had the pleasure of seeing were California Sea Lions on two different Buoys. 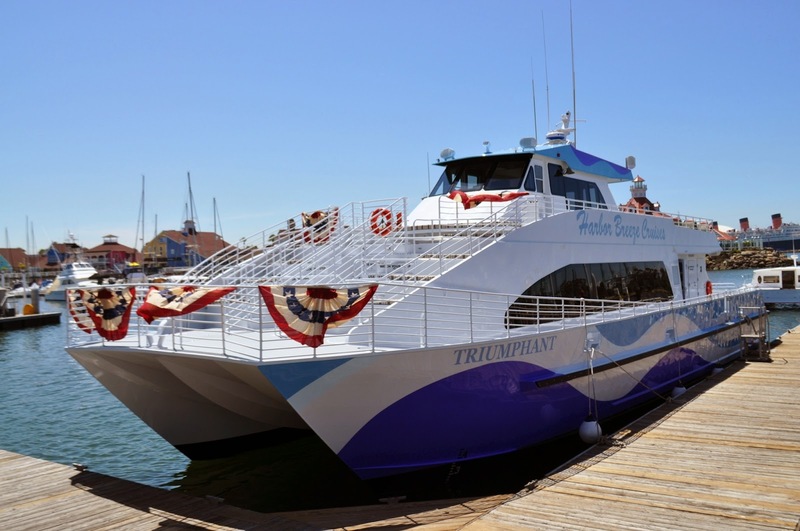 The staff was pleasant and informative and we truly enjoyed our day on the MV Triumphant! 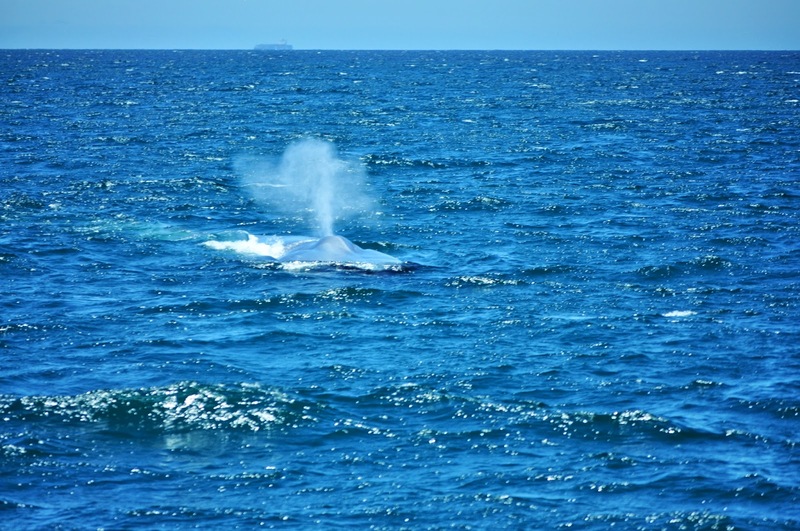 I would highly recommend visiting Harbor Breeze Cruises to enjoy a whale watching trip of your own! DISCLAIMER: I received an invitation for my family to accompany the MV Triumphant on its voyage and share in the joy that was the children from the Boys and Girls Club of Long Beach. All thoughts are my own. Do not use any pictures without permission. It was really neat the kids were so excited! It really was comfy! There are no bad seats! This sounds like it was an awesome trip! Thanks so much for sharing.